The Bigbelly smart waste and recycling system is modernizing waste management operations in communities across the globe. Our customers' intelligent waste collections have a meaningful impact on streetscape quality of life by keeping spaces cleaner for public enjoyment while increasing productivity by reducing the number pick-ups required each week. Our team recently noticed a local community that found a unique reuse of their traditional wire bins that were replaced by Bigbelly smart waste and recycling units. 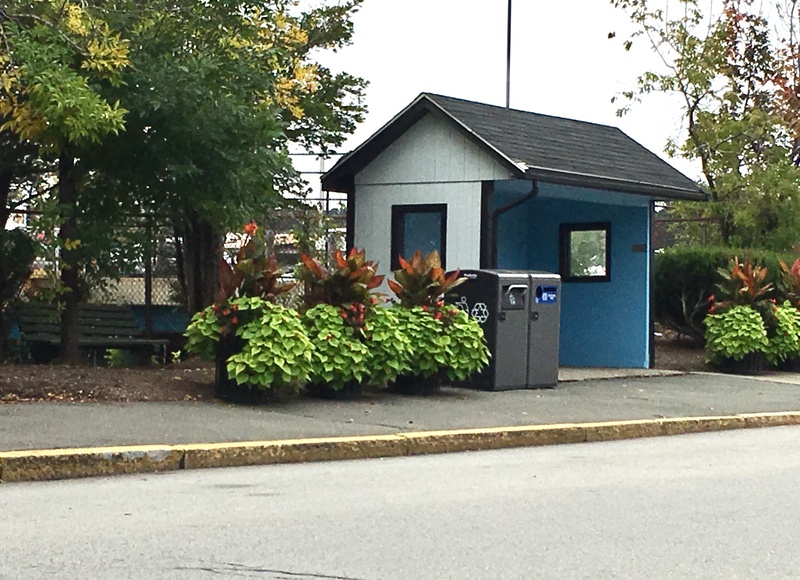 As a historic suburb of Boston, the City of Newton deployed the Bigbelly solution to their community cleaner and enable an effective public space recycling program to reduce the City’s environmental impact. Newton’s City officials partnered with Bigbelly to architect a city-wide public space smart waste and recycling solution. After a careful assessment of the City’s operations, a deployment of 340 Bigbelly smart high and standard capacity units replaced their existing traditional wire bins. A smart waste management system works best when all traditional bins in the proximity of smart bins are removed, since fullness of the wire bins is unknown. This replacement practice ensures that collectors don't need to make trips to check on and pick-up the wire baskets and that all waste is staying contained within enclosed Bigbelly units. In Newton, their custom smart bin configuration provides recycling at every collection point, the system has reduced collections by 88%, and has beautified their public spaces. Learn more and read the full case study here. The City is taking their commitment to environmentally friendly and beautification initiatives one step further by reusing their traditional wire bins as large planters in public spaces that could use a spruce! At rotaries, transit stops, and street corners the city has repurposed their wire bins by filling with beautiful greenery and florals. We love Newton's creativity! We hope that other communities enjoy this dose of inspiration for others looking to get smart with Bigbelly and repurpose their replaced infrastructure.